Flashcards-almost always-are just rectangular pieces with a foreign word. Why do you have to be so restrictive? How would you rate these cards? Dice rolls? Almost! 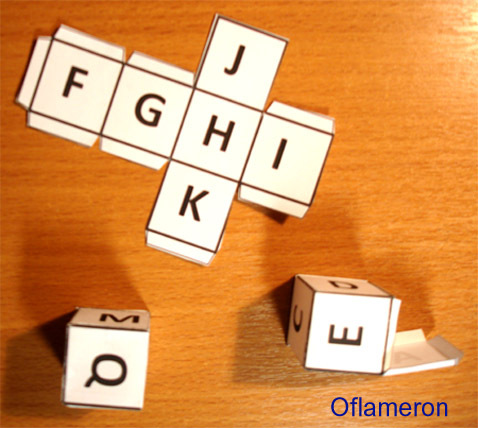 The entire alphabet is placed on 5 cubes. You roll the dice and write down the letters. Then from letters compose foreign words. 10 times threw the dice and who is more made up words wins.